Baltimore, like other shrinking post-industrial cities, has a lot of vacant and abandoned land. What may look like a weedy mess has the potential to be an excellent refuge for wildlife in an otherwise uninhabitable concrete jungle. Meadow wildlife thrives with abundant sunlight, fairly dry & flat conditions, and diverse vegetation. What many people don’t know are that a lot of the common weeds that are found on vacant land are native. The difference between and weed and wildflower is a matter of personal perspective. To really maximize this land as habitat, the existing plant community just needs to be modified a bit, and for people to mow a little less frequently so that native wildflowers can bloom and set seed. Commitments to this kind of stewardship will also improve the soil, allowing it to become safe for human uses - like urban agriculture - in the future. The Golden Northern Bumblebee is a native bumblebee that is easy to spot because unlike most of our larger bees, it’s entire abdomen (it’s rear segment) is yellow and fuzzy. Like all of our native bees, it’s in real trouble and needs more flowers and less pesticides! 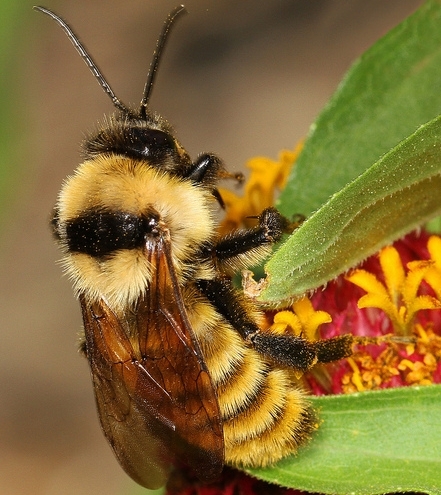 Learn more about the Golden Northern Bumblebee! This common moth is easily mistaken for a bee or hummingbird. It has clear wings and is fuzzy which might make you think its a bee, and it hovers at flowers just like a hummingbird. And, unlike most other moths, it is active during the day and visits a variety of different flowers. Here in Baltimore, we are smack dab in the middle of the eastern flyway, a migration path that takes the Monarchs between Mexico and Canada. To support Monarchs on their journey, we need to plant big patches of milkweeds to provide plenty of food for their babies. 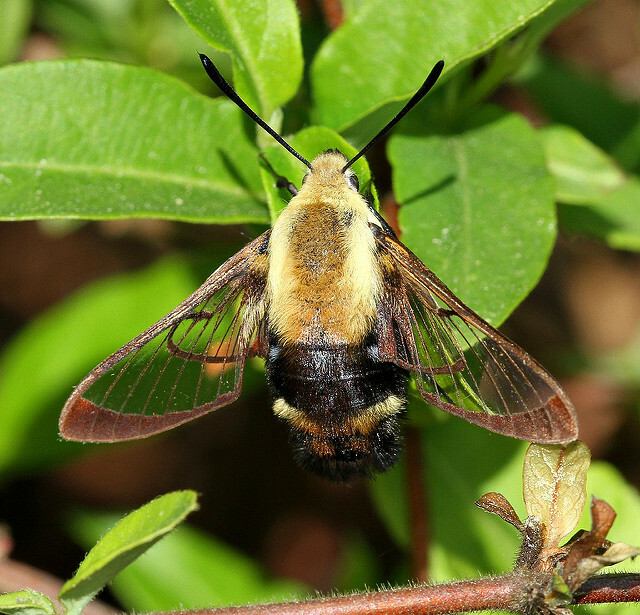 Learn more about the Hummingbird Clearwing Moth! Learn more about the Monarch Butterfly! While the Field Sparrow not yet listed as “at risk” on many bird watch lists, populations have decreased about 60% in the last 50 years. Simple actions by urban conservationists could keep this sweet bird off of any emergency action lists. Next time you are at Camden Yards or M&T Bank Stadium for a night game, be on the lookout for these nocturnal hunters silhouetted against the darkening sky. Like bats, they hunt by swooping and diving for flying insects at twilight and at dawn. Learn more about the Field Sparrow! Learn more about the Common Nighthawk!